Most of you who visit here regularly know how much I love my Inchie Arts products and today we want to show you how well they work with JustRite stamps! This week's JustRite Friday Challenge #042 is to use this sketch, perfect for JustRite's 2-inch square stamps (or any stamp shape you'd like to make into a square shape! Inchie Arts offers three different sizes of the highest quality artist grade matteboard squares: 1” (Inchie), 1-1/2” (Inchie +) and 2” (Twinchie). All of their products are fade resistant, acid free, lignin free and solid core color through and through. The material is designed to receive whatever art medium (wet or dry) you use in your coloring and embellishments -- from stamping to watercolors, chalks, inks, pens, markers, stains and more. They are available in black, dark gray, light gray, wheat, dark cream, ivory and white; as individual packages or assortment packs. My project today uses the bell image from JustRite's small oval set, Christmas Joy -- remember, you don't have to stick to just square images when using Inchie Arts squares! To finish the image, I punched a hole in the Inchie + square easily with a small diamatered hand-held hole punch, then tied silver cord through and around the square. You can create any custom color of Inchie products you need, simply by giving them a quick swipe of color from a coordinating Copic marker! No need to color the whole square, if only a portion of it will show. Be sure to color the edges, too, for a professional finish! I cut a scalloped piece of coordinating paper and taped it to the top of my red colored Twincie. To see a ton of more fantastic samples using this sketch, JustRite stamps and Inchie Arts products, be sure to visit the JustRite Inspiration blog today -- and enter this week's challenge for your chance to win some amazing Inchie Arts prize packages! And you can always find wonderful Inchie inspiration at the Inchie Arts blog, All In An Inch! I hope you all enjoy your Halloween weekend! JustRite 12 Weeks of Christmas Blog Hop 8! Welcome to JustRite Stampers’ 12 Weeks of Christmas Blog Hop 8! Every Wednesday up until Thanksgiving some of your favorite designers will be joining some of the JustRite design team for a series of Christmas blog hops showcasing JustRite’s entire Christmas Collection of stamps! And don’t forget that JustRite has some Christmas stamps in their newly released CLING line of stamp sets, too -- you can find them HERE. This week, the designers joining the JustRite design team are the Flower Soft and The Shabby Tea Room challenge blog design teams! I stamped the church with Memento Tuxedo Black ink onto Copic X-Press It Blending card and colored it with the Copic markers listed below. Clear Copic Atyou Spica Glitter Pen accents the stained glass windows. COPIC TIP: To make white objects appear white against surrounding white cardstock background, either color the background around the white object with a color to make the white object stand out, or shade cooler objects with the C-cool gray color family and warmer objects with the W-warm gray color family, to bring them to life! I cut away the clouds from the background and mounted the church with foam tape to the wood grained paper I die cut. Then I die cut a Spellbinders Labels Four frame, glittered it with Martha Stewart Tourmaline glitter, and popped it up on foam tape over the church image. 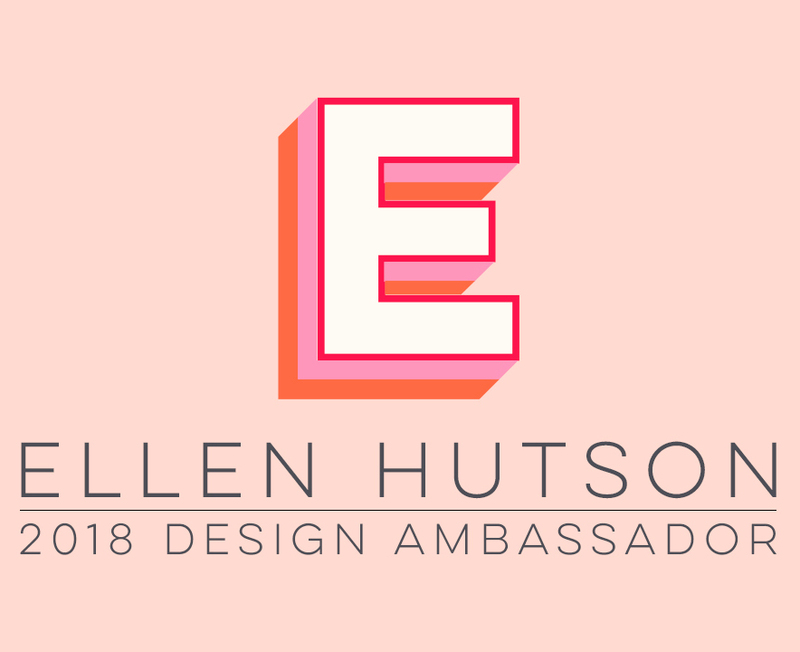 Speaking of that Labels Four die – did you receive Ellen Hutson’s monthly newsletter this month? This month’s discount code is for 25% off any Spellbinders! If you didn’t get that newsletter or discount code, let me know and I’ll forward it to you! The Merry Christmas tag was made by stamping one of the sentiments from this set with Memento Rose Bud ink and then die cutting it with some more of those yet-to-be-released JustRite custom dies made by Spellbinders (details coming soon)! The edges of the tag were inked with Memento Desert Sand ink and don't you love the accent piece you can die cut to go behind the tag's die cut ends?! I cut those from the same ivory cardstock as the tag and then inked them with the same Rose Bud ink, so they would match the tag sentiment. Pink gemstones finish off the tag. I wanted to share a little scrapbooking I did today -- of my sweet daughters! I adore this photo I snapped of them this summer when they were playing around with these colorful boas, but I hadn't had time to scrap it until now. I thought JustRite's new Friendship Nested Sentiment "Best Friends Forever" fit this page perfectly! The red & orange boa tied in well with the colors already in this beautiful new WonderFALL Webster's Pages Petite Papers, but I thought the lavender and pink in the the other boa was throwing off my color balance, so I stamped the sentiment with Memento Grape Jelly ink to help tie things together. To make the white lace & ribbon match, I airbrushed them with my Copic BV13 marker. COPIC TIP: You can always make the perfect color match with your Copics by keeping all kinds of trim and embellishments on hand in white! The edges of the tag and white doily were sponged with Memento Desert Sand ink to help them match the cream colors of the papers. A KaiserCraft Latte pearl finishes off the tag. Thanks for stopping by today ... I'll be back tomorrow for JustRite's 12 Weeks of Christmas Blog Hop! JustRite 12 Weeks of Christmas Blog Hop 7! Welcome to week 7 of JustRite Stampers’ 12 Weeks of Christmas Blog Hops! Every Wednesday up until Thanksgiving some of your favorite designers will be joining some of the JustRite design team for a series of Christmas blog hops, showcasing JustRite’s entire Christmas Collection of stamps! You also might see some projects from the JustRite design team, using some of our newly released CLING stamps! You can find our new collection of cling stamps HERE. This week, the designers joining the JustRite design team are most of the Spellbinders and Caardvarks design teams! Here's the final letter in my framed holiday word -- E. You can see the previous weekly projects N-HERE, O-HERE, and L-HERE. I'll show the whole set displayed all together next week -- I just ran out of time to get a photo this week! All patterned papers are Cosmo Cricket's Mitten Weather. The 1-4" thick chunky chipboard letter E measures about 3.50" tall and 3" wide. The JustRite stamp set I chose to use this week is a set from last year which I love, 3-1/4" round Christmas Treasures. The image was die cut with Classic Circle Nestabilities dies and layered onto purple paper die cut with Eyelet Circles. I accented the sand hill in the foreground with Ultra Fine Toffee Flower Soft -- this color went well with the Copic E31-35 ranged I used for the sand. The felt poinsettia accent was made with Spellbinders Nested Poinsettia die. Strips of KaiserCraft rhinestones finishes framed letter E! Just a quick note to let you all know that I've updated my Copic Info page with Certification class details. ALL remaining certification classes for 2010 are now open to the public! I'm excited to travel to Chicago this week, to sit in on Lori's Chicago Standard Copic Certification on Thursday! Then on Friday, all of the Copic Certification Instructors will be sitting in on Marianne's Intermediate Certification class -- an extremely fun time will be had by all, I'm sure! Both the Standard AND Intermediate Certification classes in Chicago this week are still accepting applications. If you are interested in attending, you can find all the details and applications HERE. Because it's close to home, I wanted to mention that there will be TWO Standard Certification classes coming to Texas next month! Jenn will be teaching Certification classes November 6th in San Antonio and November 20th in El Paso. If the classes are large enough, you just might see me there helping her out, too! I'll be back tomorrow for JustRite's 12 Weeks of Christmas Blog Hop! You can find a LOT more JustRite and Flower Soft Colors of Fall inspiration over at the JustRite blog today AND if you enter the Friday Challenge, you’ll have the chance to win one of FOUR Flower Soft prize packages! I hope you enjoy the upcoming Fall weekend! JustRite 12 Weeks of Christmas Blog Hop 6! Here we are, already half way through JustRite's 12 Weeks of Christmas blog hops -- the holidays will be here before you know it! That's Spellbinders Snowflake Border on the left and I'm also sneak peeking some new CUSTOM dies JustRite will be introducing in the next few weeks -- they are the purple dotted corner brackets (in the lower right of the frame, at the top of the letter L and on the lower right of the L!). You'll be hearing more about those soon! The "Merry Christmas" sentiment is from Sparky and Friends -- it was die cut with another of JustRite's custom dies, airbrushed with Copic BG10 and then stamped with the tiny snowflake from Sparky and Friends. I used Polar White Flower Soft to create a bank of snow along the bottom of the black 5" x 7" frame! I added chunky glitter to a felt snowflake and then stamped the tiny "Fa la la" from Sparky and Friends on the bottom of the letter L.
You can find full details over at the JustRite blog today, including how I used Copic R89 marker to custom color/stain the wood edges and eaves of the house to match the patterned papers! Every Wednesday up until Thanksgiving some of your favorite designers will be joining some of the JustRite design team for a series of Christmas blog hops, showcasing JustRite’s entire Christmas Collection of stamps! This week, it’s most of my fellow Copic design team and Certification instructors! So please visit the blog links below to see what fabulous Christmas projects everyone has for you on the hop today! See you back here next Wednesday for the final letter in my Christmas framed word series! Isn't that scarecrow the cutest?!! I stamped him onto Neenah Natural White cardstock and then colored him with these Copic markers: JustRite Ocean Blue Trio, B000 from Light Blue Quad for airbrushing, Soft Green Quad, Butternut Quad (YR20 & YR21), Orange Quad (YR12 & YR16), Sandy Quad (E31, E33 & E35), Toner Quad (T2 & T5), Clay Trio (E97 & E08); Chocolate & Lemon Copic Spica Glitter Pens. Next, I die cut the image with Spellbinders Nested Maple Leaf die and airbrushed the blue sky and rusty leaf colors with my Copic airbrush system. You can find the full list of supplies I used over at the JustRite Inspiration blog today. JustRite will be introducing FIVE new cling stamp sets this week, so keep a watch on their blog, and I'll have another sneak peek of a new set here on my blog Wednesday, for JustRite's 12 Weeks of Christmas blog hops. See you then! I finally found time to make my October calendar, full of falling leaves -- I know, the month is a third over already! You can find all the details over at Ellen Hutson's the CLASSroom today -- I hope you'll join me there for a few tips & tricks with your Copic markers! Speaking of Copics -- I've updated my Copic Info page with all the remaining Certification classes for this year. Quite a few of you asked when I will have my calendar downloads (like the one I used here) upadated with the 2011 calendars -- I hope to have that done by the end of this month and will announce it here on my blog when they are available. I'm so glad so many of you have enjoyed these! Meanwhile on this Columbus Day holiday, I get to have parent-teacher conferences this afternoon. I hope you enjoy your day! Welcome to JustRite Stampers’ newest Wednesday feature, 12 Weeks of Christmas Blog Hops #5! Every Wednesday up until Thanksgiving some of your favorite designers will be joining some of the JustRite design team for a series of Christmas blog hops, showcasing JustRite’s entire Christmas Collection of stamps! This week, it’s the Stamp Simply design team! So mark your calendars for Wednesdays at 9am Central for great Christmas gift, card & project ideas, starting at the JustRite Inspiration blog! I used the small ornaments from JustRite's Vintage Christmas, colored them with the Copic marker colors listed below, cut them out and tied them onto the chipboard letter. The larger ornament is die cut with Spellbinders 2010 Heirloom Ornament die. Season's Greetings sentiment is from JustRite's Christmas Nested Sentiments set; it is die cut with Spellbinders Double-Ended Tag die and the edges inked with Memento Desert Sand ink. The chipboard letter is framed with a 4.50" white doily that I airbrushed with Copic E50 Egg Shell, making it ivory so it would match the other papers! Happy World Cardmaking Day! Over at Ellen Hutson's the CLASSroom today, you will have the chance to win some fabulous blog candy and we'll be posting cardmaking challenges throughout the day! You'll have until Wednesday, October 6 to complete any challenges you wish to participate in. You can find full details over at the CLASSroom blog. Here's the card I made for my challenge, that will be posted at 1pm Central -- you'll be able to find all the details of my card over at the CLASSroom at that time. I hope you'll join in on the fun today!